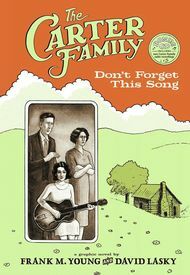 Five years in the making, The Carter Family comics bio, Don't Forget This Song, by David Lasky and Frank M Young is finally here – and it's a doozy! A great story well told. The Carter Family – and their times – really come alive on the page. This 192-page, full color graphic biography is beautifully produced, sporting an embossed hardcover and coming complete with a (18-minute) CD of rare Carter Family radio broadcast music. 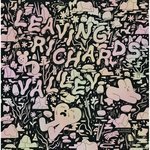 Lasky and Young have taken their time and done it right. This is a deeply researched and deeply felt account of the founders of American country music that sheds some much needed light on the subject and will help those who may feel alienated by most of what passes for "country music" these days gain an understanding of the nature of the core appeal of this musical tradition that grew from the tree planted by this family at the dawn of the age of recorded music. This book will make a great gift for young and old, for Carter Family fans to both give and receive. Recommended!